One of your teaching assistants is leaving: what do you need to think about when interviewing and recruiting new support staff? Gareth D Morewood explains. First things first, do I actually need to recruit a new TA? Firstly, I think it is important to look at your structure, students’ needs and existing provision to confirm that the vacancy still needs filling. This can often be made more problematic due to schools having to find the ‘notional’ first six thousand pounds of funding per student. However, good planning at this stage and looking at specific student need and whole-school provision is essential. 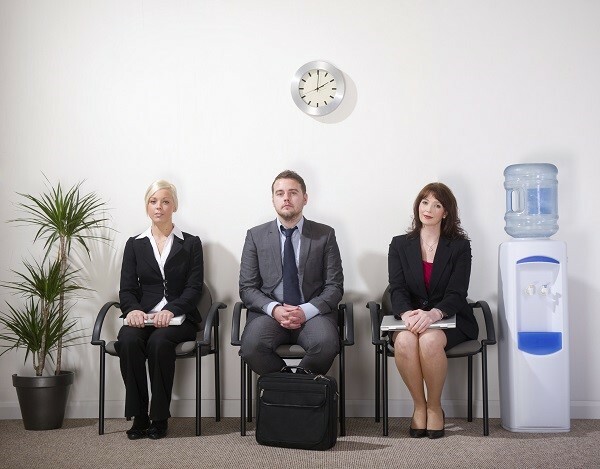 It is important that job descriptions are accurate – what does the role mean in your setting? There is considerable variety in TA roles in different settings so it is very important that job descriptions and associated documentation match specific circumstances. When discussing dates for placing the advert and scheduling interviews it is important to check for other events and potential clashes, for example, on a day when major road closures around the school mean it is difficult to get there. Forward planning and thinking about these potential issues in advance help minimise risks in not being able to attract the best candidates. June is a good time to check initial thinking against the recruitment policy and processes, and engage in discussions with HR in developing the plan. Set out clear timeframes and allocate certain action points and people to those timeframes to ensure everyone can attend when they’re required and have everything they need. Once the advertisement and associated documentation has been finalised, the closing date and interview period can be published. I like to provide all the dates and contact details for informal discussions in the advert itself so that potential applicants can see the timeframes and ask any questions in advance. This can be a big help for potential applicants as they can organise the information they need to apply. I think that it is also important to look at appropriate media through which to advertise. The use of social media and local outlets can make a big difference so be as proactive in advertising as possible. Contact local universities and shops, ask governors and remember to place the advertisement in your school’s reception area. It is important to ensure there is a clear statement about the commitment to safeguarding children and that candidate packs are pre-prepared with information on the school and associated documentation in advance. Whilst applications are coming in you should think about finalising the interview day and what tasks are part of the process. I think it is essential that students are involved in the selection process. Our process involves two sort written tasks, a practical exercise with students, a meeting with a student panel, a tour of the school and then a final interview for those who are successful. All the different elements and tasks measure ability and skills that were set out in the person specification and job description. Make sure the shortlist candidates know what to bring on the day with regard to appropriate documentation, and clarify what is expected, especially timings and activities. Also remember to ask the candidate if they have any specific access or dietary requirements so you can plan in advance. I think it is vital that interviews are a clear, open, two-way process. Put candidates at ease and ensure they have plenty of opportunities to ask questions and check if you are right for them, as much as you check if they’re right for you! During the interview, ask questions (preferably ones you and your co-interviewer, if appropriate, have agreed on) and note and score the answers. Ask at least one safeguarding question and also ask candidates about any gaps in employment and record these whilst checking candidates have a Right to Work in UK and have supporting documentation. Any offer to your preferred candidate will be subject to final vetting checks (DBS, medical, references, qualifications etc.). It is always useful to explicitly state this when offering the position and ensure those candidates who were unsuccessful have an opportunity to get appropriate feedback at a later date. Then it is about preparing for the induction of new staff…which will be another SENCology post to come.